There’s a new low-downpayment mortgage option available to today’s home buyers; and a lower-equity refinance available to refinancing households. It’s an extension of the existing MyCommunityMortgage (MCM) program; and, in official Fannie Mae documents, is referred to as the “expanded LTV” program. The 97% loan-to value program is meant to help home buyers who might other qualify for a loan but lack the resources to make a five percent downpayment or more. It’s also geared at homeowners whose homes have lost value since purchase but who are otherwise ineligible for the Home Affordable Refinance Program (HARP) because their loan start date is after May 31, 2009; or for some other reason. 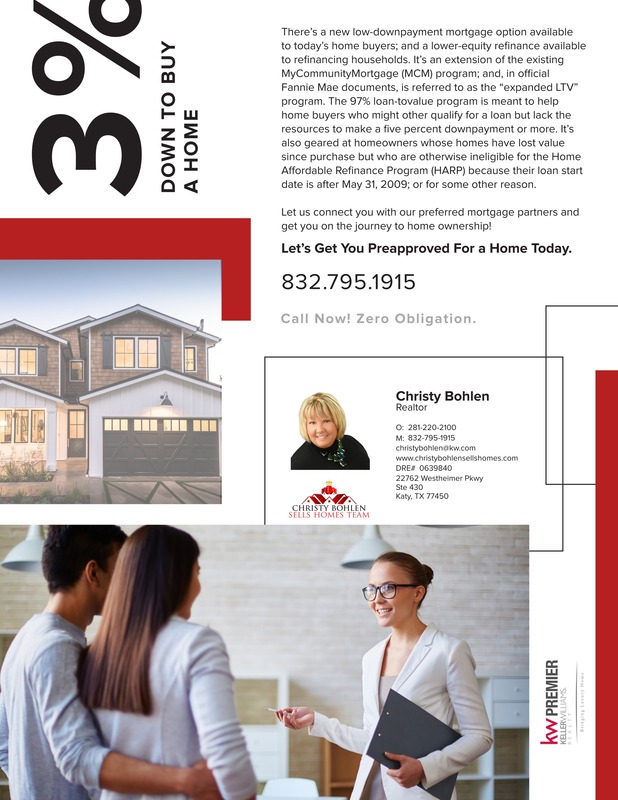 Let us connect you with our preferred mortgage partners and get you on the journey to home ownership!